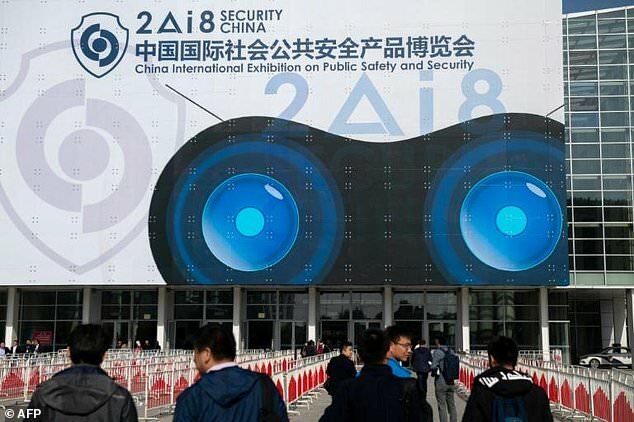 Megvii, an artificial intelligence company backed by e-commerce giant Alibaba, demoed different pairs of ‘smart’ sunglasses, which sound an alarm when they spot a suspect. ‘From fetal stage to adolescence to adulthood, the iris stays the same,’ James Wang, marketing director at IrisKing, explained to AFP. ‘Since iris recognition is done in vivo, it’s also very hard to fake,’ he added. But the security expo shows how broadly technology is being applied to a variety of challenges for the country´s public security forces. A Shenzhen-based tech company called ZNV is using video analysis, such as the detection of facial ‘micro-expressions’, to analyse emotional responses. For instance, using VR, practical training of standard procedures can be conducted ‘in an unlimited time and space’, Gan told AFP. For instance, drones developed by Harwar, a Shenzhen-based company, can come with a number of add-ons, including a ‘net gun module’ that launches a net to ensnare criminals on the run. Physical biometrics, such as fingerprints, facial recognition and retinal scans, are currently more commonly used for security purposes. However, behavioural biometrics – which include things like how you walk – are able to capture unique things about a person’s behaviour and movement. They also include things such as voice ID and signature analysis. Researchers from the University of Manchester have developed an AI biometric verification system that measures an individual’s gait or walking pattern. This non-intrusive technique can successfully verify people with 99.3 per cent accuracy after they walk over a pressure pad on the floor – and they don’t even need to take their shoes off. Behavioural biometrics are already used for authentication in financial institutions and businesses. After people provide their biometric data, AI picks out specific data points which it processes using an algorithm.